Home to some of the most beautiful beaches in the world, Mauritius is the ideal place to relax on the white sand beaches beside the turquoise water. Villanovo can organise excursions and activities for you so get in touch. If shopping and fine dining are more your cup of tea, take a visit to the North of the island where you will find lots of shops and restaurants to suit all budgets. To realise the beauty of Mauritius head to the East where you will find the most beautiful beaches and underwater adventures. If you want stunning backdrops with dramatic scenery then the South is for you! If you are the more adventurous type and want to see the real Mauritius it is worth a visit to the South Coast. For spectacular sunsets and opportunities to go diving, the West really is best! Filled with history, white sands, and turquoise water, a trip to the West should not be missed. > Flic en Flac - this natural beach is the longest on the island. Sea urchins, corals and shells that have been washed ashore make this beach unique in comparison to the rest of the island. The mild currents make this an ideal location for families. The beach volleyball net makes this the liveliest beach in Mauritius. > Tamarin - here you can find the black river which ends in the bay with a mountain view in the background. This is the best spot for beginners to learn how to surf and you can also swim with dolphins here. > La Preneuse - this is a small sandy beach that provides exquisite underwater views. This area is ideal for snorkeling and admiring the beauty of a sunset. Here you will find a watchtower and some cannons that were used when pirates came to the island so you will learn a bit about the history of Mauritius too. > Grand Baie - the most popular place on the island, this beach is crowded with little boats and is the perfect place for lovers of watersports to go. For those that seek an adrenaline rush, you can do a tandem skydive or for those that aren’t brave enough to try that, you can take a walk underwater and treasure the memories made. 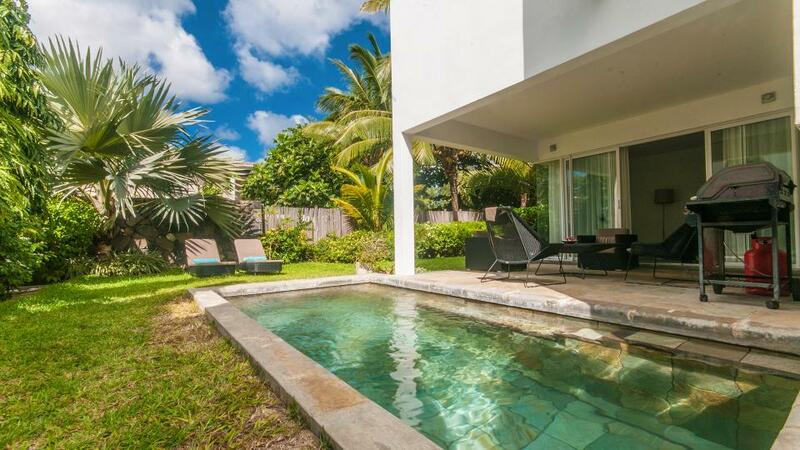 > La Cuvette - a short 10 minute journey from Grand Baie, this little beauty is perfect for lounging in the sun with a coconut in hand, or taking a walk along the beach. 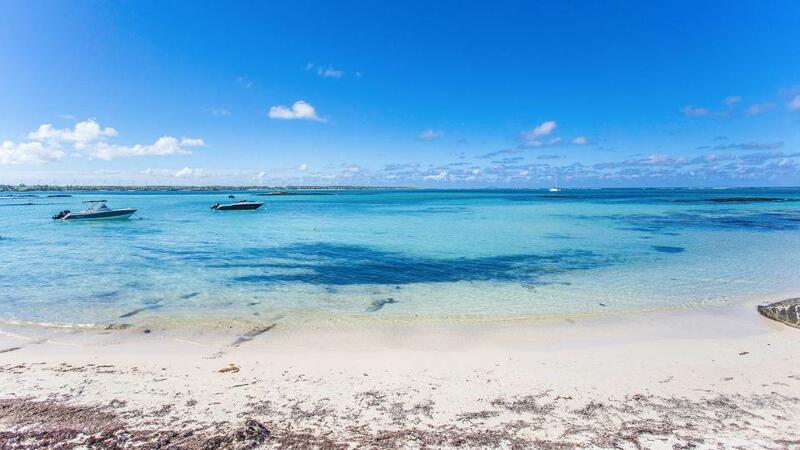 > Trou aux Biches - the ideal place for watersports and snorkeling. This pretty beach with white sands is perfect for families because of the mild current. > Blue Bay - this deep blue coloured water bay is perfect for swimming and relaxing with less tourists during the week. Blue Bay is famous for its snorkeling excursions and is home to the only marine park in Mauritius. Here you can take a trip on a glass bottomed boat and admire the beauty of the ocean and all its inhabitants. Prices are negotiable depending on the length of the trip so this will be a good family day out. > Belle Mare - the white sand stretches for 10km in length and is surrounded by deep turquoise water on one side and lush green vegetation on the other. This area is home to “The Pass” which is the East coast's famous diving site. The current is strong here due to the wind so take care when swimming, however the wind is good for sailing and windsurfing. > Île aux Cerfs Island beaches - a short boat ride away from Mauritius, this small island makes for the perfect day trip. With its white sand and crystal clear water, the beaches are truly stunning. Here you can play a round of golf on one of the most beautiful courses in the world and there is a treetop adventure playground for the children to enjoy. > Le Morne - crystal clear water and white sands lie at the foot of Le Morne Brabant. This mountain, classified as World Heritage, provides a breathtaking backdrop and is the symbol of a fight for freedom by the slaves of the island. Here you can take horse rides on the beach, windsurf, and go kitesurfing at the best spot on the island - ‘One Eye’. > Riviere des Galets - this stone beach is less popular due to the strong currents and shark sightings, however it is the perfect place to have a picnic and appreciate the natural forces. You can really smell the sea air and feel the mountain breeze here. > St Félix - this beautiful white sandy beach has turquoise waters and is picture perfect. This beach is quiet so is the perfect place to relax and chill out.